Amakawa Haruto died before he’d the chance to reunite with his childhood friend who disappeared five years ago. Rio, a young boy living in the slums seeks revenge for his mother who was murdered in cold blood in front of him when he was only five years of age. There exists the earth many knows of and there exists an alternate world. Two people, each with their own backgrounds and values. For odd reasons, the memories and personality of Haruto, one who should have died resurrects in Rio’s body. As the two are confused over their memories and personality fusing together, Rio (Haruto) decides to live in this new world. Along with Haruto’s memories, Rio awakens an unknown but special power. If he’s to use it, it looks as if he can live a better life, but before that, Rio encountered a kidnapping which results in involving the two princesses of the Bertam Kingdom. After saving the princesses, Rio is given a scholarship to attend the Royal Academy, a school for the rich and powerful. His background being a poor orphan who once lived in the slums, the school full of nobles was rather a detestable place to stay at. I was going to give this story two stars but I miss clicked but let me say that the story is pretty dissapointing. The MC is very unrealistic, its full of cringe worthy moments whenever the MC interacts with the love interests and the story is very predictable. The MC after living in the slums got into a high class school where he is bullied constantly for 5 years and he was framed for trying to kill royalty and what did he do, he freaking did nothing at all, not to... more>> mention his attitude when dealing with nobles he would go out of his way to downplay all his achievments it made him look lika an asskisser with no pride at all. There is also the problem with the childhood friend heroine, the MC in his past life pretty much dedicated his whole life to this girl then when he finaly saw her again he was devastated because he thought that she already has a boyfriend then suddenly she disappear and pretty much considered dead but he still dedicated to her ignoring the advances of other girls and now he has a new life but he is still dedicated to the supposed dead childhood friend whom he has not seen for atleast a decade. When he finaly saw her again he turned chicken and hid his identity and let her go without even trying to talk to her in person I was like WTF are you doing jackass!!! This series is so full of sh*tload damsel in distress pile of garbage that should just be burned..... No? Well I just summarized the novel in one sentence..... Isn't that great? Like seriously... The character, plot, world building all feels too much artificial to read... If you can have a CringeFest this is the perfect novel to read.. The Start of this story was a big turn off..... so much so I dropped it right away. However having nothing left to read I picked it up again. Glad I did. Story is about a guy who dies and finds himself inside the body of a 7 year old boy in another world. Their mind merge into one having memories from both worlds. Rio is the name of the boy whom will hold both personalities, however Haru is the main guy who is the dominant and leading character here and... more>> makes all decisions, while Rio is just a background influence allowing him to remember and understand the world. Rio had a tragic life and is full of hate and vengeance while Haru is a Japanese who is a pacifist. No killing under ANY circumstances... a clash of two extreme personalities. Who will win out? Can Haru maintain his no kill rule? As said Rio is in the background and is only giving off emotions, his memories and feelings, while Haru controls the body and decision making. There is no struggle for control in that sense as Haru took over the body, thus the adventure begins. The Author has made it extremely hard on the MC so much so you will feel unease and sick to your stomach at times. You wonder why the MC must endure such hardships and the wrongs that are thrown at him so that others may save face. AND you will also feel anguish when those you thought were beholden to him as he saves them turn on him without a second thought. The story is not all anguish and betrayal, but it sets the mood as you go forth into the story. There are also good times as well and lightheartedness. After chapter 10 things begin to settle down a bit and the story begins to progress in a positive manner, but the first 10 chapters are all bad imo. Get passed them to finally get to the real story.. The first 10 chapters are just to set up the “Humans are bad” story. Punching bag main character without any personality, with every woman who crosses paths with him instantly fall in love with him. No redeeming traits to this novel, every character is rather flat, the MC is boring, there is no badass action, there is no badass magic, there is no politics... I could go on, this is just a half baked novel, none of the events feel interconnected. It's lame and boring for me. It keeps giving you rage, rage, rage then an unsatisfying normal chapter, then rage, rage, rage, another unsatisfying happy-supposed-to-be again, and so on. While it's true that I can see the author throws so many hints about a happy ending, he/she failed to keep me stay, and that's what important. ... more>> Maybe the author wants you to really feel that ending after countless rage chapter, but unfortunately many people fall before they could reach the end. The boring mainstream dialogue and unimportant descriptive paragraphs makes it even worse. That's it, I'm officially fed up now. At the beggining things were interesting and it had an actual plot that was advancing at a slow but steady pace. However sh*t completely went sideways when the supposed main heroine, who for some reason all the readers were greatly anticipating, shows up and the story turns into some forced romance shoujo bullsh*t. Its like a dating sim written and designed by the worlds most boring person who also suffers from insomnia. The worst part has to be the mc's recent cringy personality... more>> thats jam packed with scripted flattery, excessive and unnatural politeness and overbearing modestly. I literally just skimmed through the latest chapter and all that happened is they arrived at the mansion, MC complements the mansion, cliche doting parent nobles talk about their daughter and ask MC to be her friend. Mind you these chapters are fairly long for a wn. Hum, this novel is a bit interesting, everything was all good and fun until there's some NTR mixed in it, completely ruined a great story. The NTR is just someone else's guess so by some chance it's not NTR I might go back and read it. Okay. Don't be fooled. Although there is a Seinen tag, this is actually very close to Shoujo, with male lead instead. If you've read Shoujo before then you should have known that there are tons of forced nonsense drama and logic inside that wretched tag. But.. There is one positive aspect from it, which is a strong yearning of love between the male lead and the female lead, so much until the male lead sees nothing but only one girl in his heart, although his harem are trying so hard to... more>> get his D*** hard. 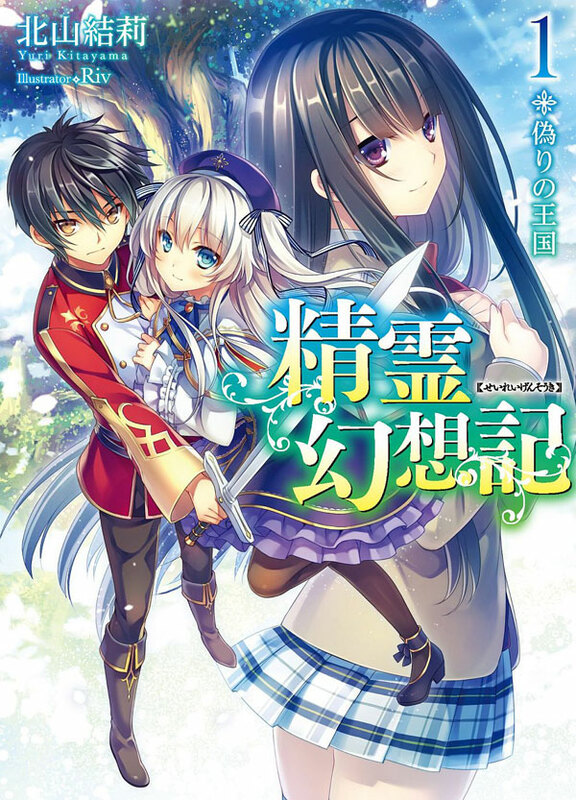 Joking aside, this is probably the very first light/web novel that I've read with such strong love between the main couple, which is both very refreshing and annoying to read, because the author is trying very hard at making them to be separated at all cost, with the nonsense and forced drama to prolong the story of this novel. Add some of the usual fantasy and isekai theme, and that's the entirety of this novel. By the time I wrote this review, I've read the web novel raws up until certain arc that made me rather furious with it's obvious nonsense drama, around 150~ish. Dropped this, and probably won't pick back up until the author updates the web novel and fixes that. ... more>> All in all, below average. The grammar for this series is all over the place, but the later chapters hit rock bottom with very simplistic, almost toddler-ish English. The writing throughout the entire series is a bit below average in that it makes its point (most of the time) but still lacks flavor or even consistency. The story is a bunch of generic cliches slapped together without anything original. I was enjoying it up until the English started to go "Baby-talk" on me, but I personally like cliche stories. It feels like a series of thoughts, not a complete story. There are plenty of novels like this, good at first, but after a few chapters, the author got stuck just throwing crap in. As usual, the story started out in a really nice way-and quite a dark one. However, later on it all became a typical sparkly harem with an op MC. The dark story basically got pushed out of the main focus of this novel. Still, I would continue to read it, if not for the translation, which at the later chapters is mediocre at best (it was good at the beginning). I'd say it's not worth reading. It's an action series that the plot is moving forward with it's romance. Over the course of the series the MC is being bullied and wronged almost all the times, that is until girls somehow flocking over him and becomes his companion. It seems it will become a harem series, but the MC denies any possibility of romance with these girls since he loves only one girl. The thing is, the MC is as dense as Ichika from Infinite Stratos and he's prone to misunderstanding that could be easily solved... more>> if only he asked like a man (the author is a girl so sometimes it feels the MC acts with female mindset...) The netorare vibes comes from him letting the girl he loves goes with another guy just because he's fidgeting like a girl and the guy who tried to steal the girl acts very sh*tty that you want to punch him but the MC takes no actions. MC doesn't answer affections of many women because of his childhood girlfriend. When she come to this world he doesn't confess to her but just protecting her it's so hard to say I am... and I love you he written a letter but wonder what happened? It was intercepted by lame hero. There will be harem but we must wait another 100 chapters for MC and his love interest meet and he grow some balls to confess to her again. 183 chapter stil no confession (I mean second confession because MC tried once (Failure)) Maybe in 20 volume he will confess or author will drop this novel he will be not first and not last author that did something like this. Story. Story isn't bad. MC is strong from the beginning I should say. First, if you're thinking that this is a revenge type of novel, you're wrong. This is a heartwarming, fantasy, harem story. If you don't like the MC's attitude, if you don't like how the people around him act, then don't read it. I can understand why some of the readers may not like the MC, because when he is still in his original world, he didn't even had a chance to confessed to a girl he likes. So what? A person who do anything to improve himself for others even though... more>> "that" person is not looking at him has a charm on it, right?